Ever since I rented that tilt-shift lens, I have imagined over and over what I could accomplish with that tool in my arsenal. I'd assumed I would simply pick up the Rokinon/Samayang/Opteka rather than drop coin on the Canon L series, but numerous reviews had me rethinking my strategy - problematic since I don't yet make enough money off them to justify all these gorgeous lenses, and even the Rokinon/Samayang/Opteka tilt-shift is $700. And while its true I could pick up a used TS-E 24mm f/3.5L (the one I'd rented for Colorado Springs) for about the same price, I hear the new one is in a category all its own, sadly with a price to match. The lomo site Lensbaby makes a couple of awkward little selective focus lenses (Spark and Composer) but those aren't really in the same league as a technical tilt-shift. Which brings me to DIY. 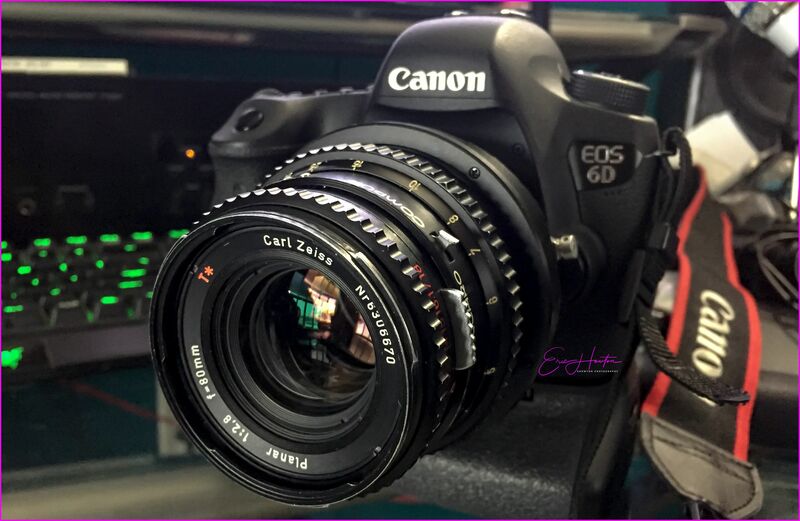 A full-frame camera requires a massive lens in order to completely fill the sensor area given the variable gymnastics tilt-shift is capable of - something which cannot yet be accomplished with a standard 35mm lens. 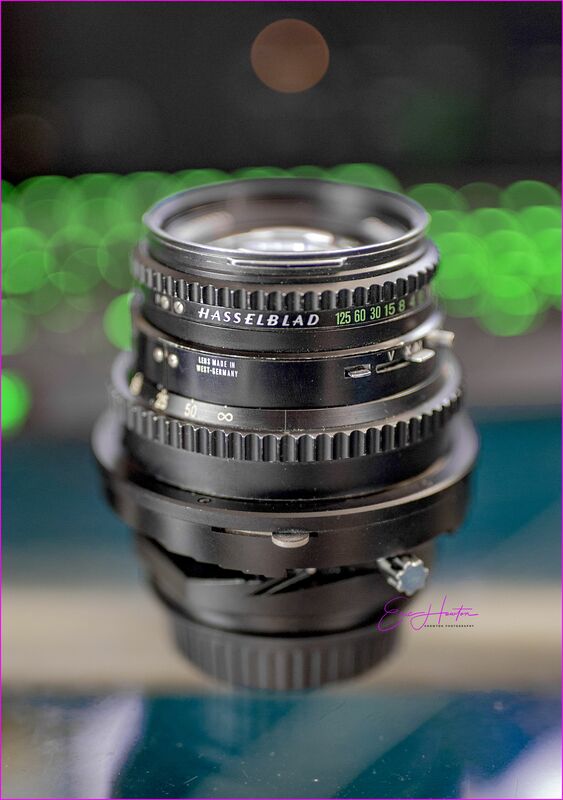 BUT FOR ABOUT THE PRICE of the Rokinon/Samayang/Opteka, I can get a used Medium Format Hasselblad Zeiss lens and an EOS tilt-shift adapter. And since Best Buy (with their amazing 12-months 0% interest) does not yet carry the futuristic Canon TS-E 24mm f/3.5L II, I'm looking to the past. The one thing absolutely crazy about this T* (read multicoated) lens is the amount of stray light it picks up. Thank God for Fotodiox, as an original Hasselblad lens hood runs into the hundreds of dollars - for a lens hood! i think it's hard to go wrong with a Hasselblad anything. if you can afford it. i'm hoping for 120 film for the Hasselblad my sister-in-law gave me a number of years ago (it had been her father's). i need to use the camera again because she gave it to me knowing that i would. and of course it is a shame to not be used -like jewelry in a safe deposit box. no point. have fun with whatever you decide! Oh wow. Absolutely! What an heirloom. At 80mm, the one I bought if better suited for portrait work, so i’m still in the market for a wide angle Hasselblad.